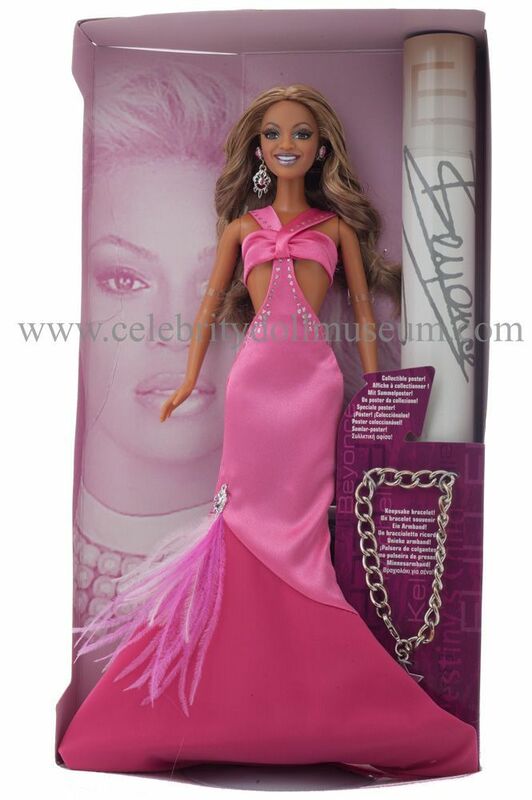 The Beyoncé celebrity doll depicts Beyoncé as a member of the group Destiny’s Child. 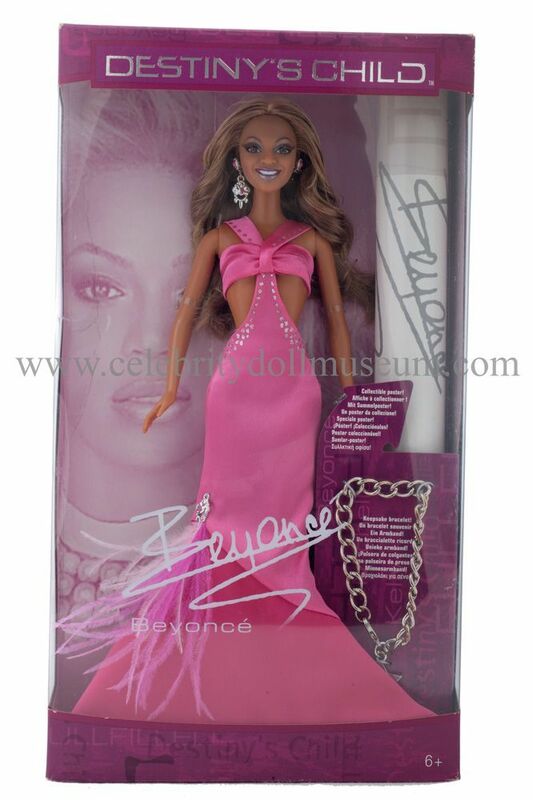 The doll was made by Mattel in 2005 as a set of three dolls comprised of the band members Beyoncé, Kelly Rowland and Michelle Williams. 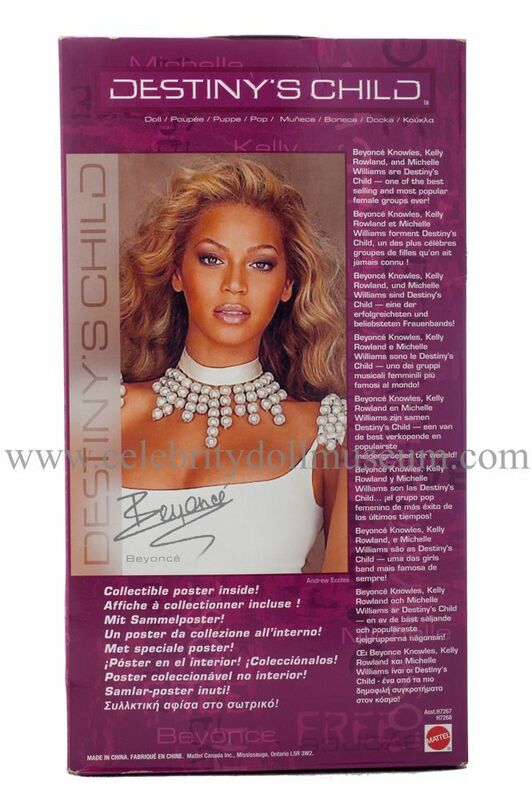 Later that year Destiny’s Child disbanded and Beyoncé went solo to become one of the best-selling music artists of all time and in 2010 won the most Grammy Awards (6) in one night by a female artist. 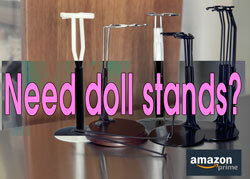 She is also a Golden Globe nominated actress. 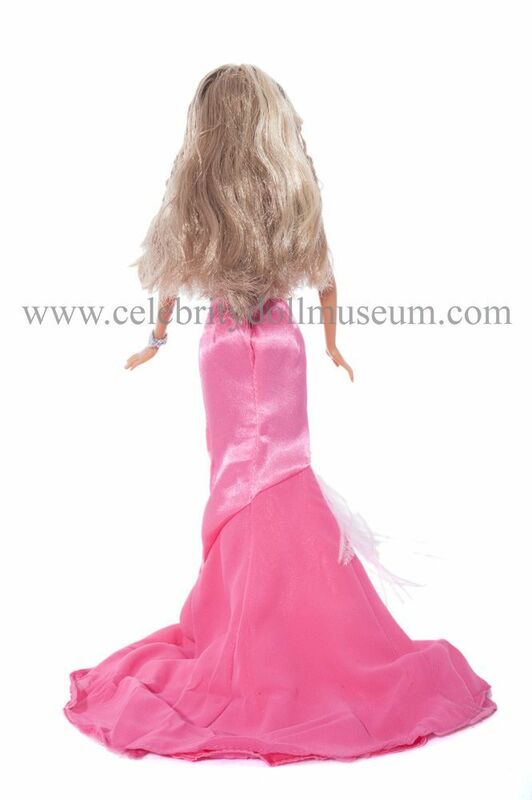 The doll comes with a poster and a child size keepsake charm bracelet with a silver star charm. The outfit is a hot pink floor length feathered, jeweled, and glittered gown with silver and pink dangle earrings, a silver rope bracelet, and silver high-heeled shoes. A unique feature of this doll is the long glittery eyelashes.